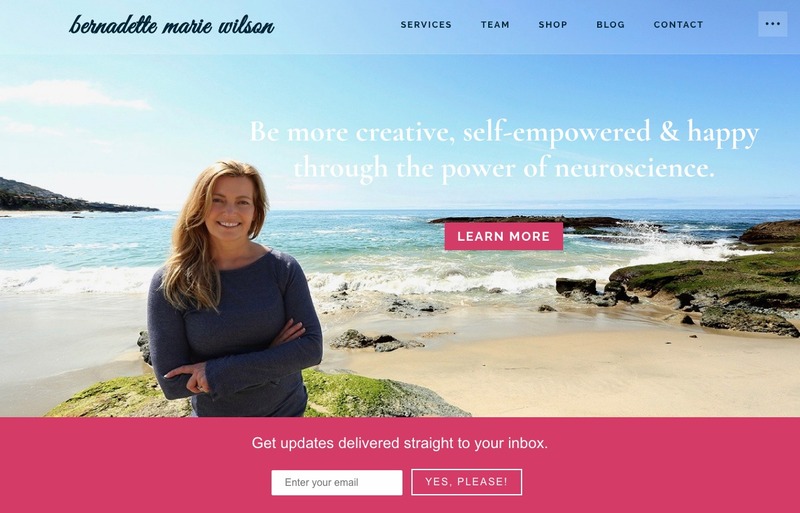 Bernadette Marie Wilson, NeuroCoach and founder of Cognitive Performance Coaching, helps her clients reach their full potential by supporting their professional and personal empowerment, trauma recovery, and neurological well-being. 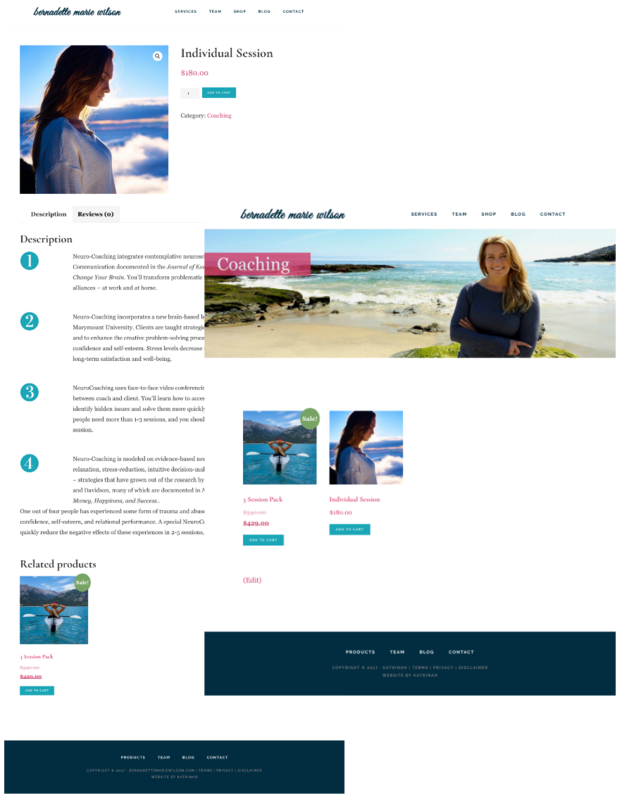 Bernadette reached out to me wanting a modern and professional website for her neurocoaching business. In addition, she needed a number of features, notably e-commerce, so that she can easily sell her products. Keeping in mind the nature of Bernadette’s work, I created a colorful and bright website to capture the essence of her cheerful, uplifting and fun brand personality. The site is clean, modern and minimal, with generous white space, consistent fonts and professional images. Additional features include built-in forms to capture leads, contact page and a number of customized pages. A number of design customizations were made to Bernadette’s site for both aesthetic and functional purposes. Here on the services page, for example, I added an extra section above the footer to call out a special area in Bernadette’s business. Custom contact forms and a custom team section were also added. Design matters and really helps to establish a positive first impression. These small styling changes make a big difference. E-commerce features were a priority for Bernadette so I added a full-featured e-commerce platform to the site. Shop page, product pages, cart and checkout pages and other e-commerce functionality are included.